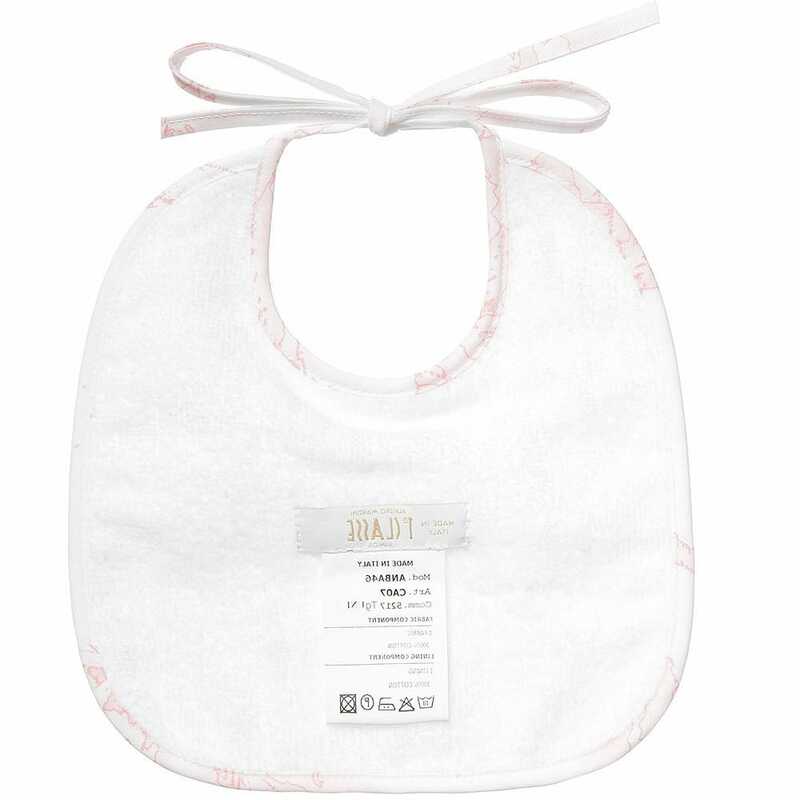 This Alviero Martini baby girls bib is made from soft and non stretchy cotton. It also has a towelling texture back for an extra comfort. 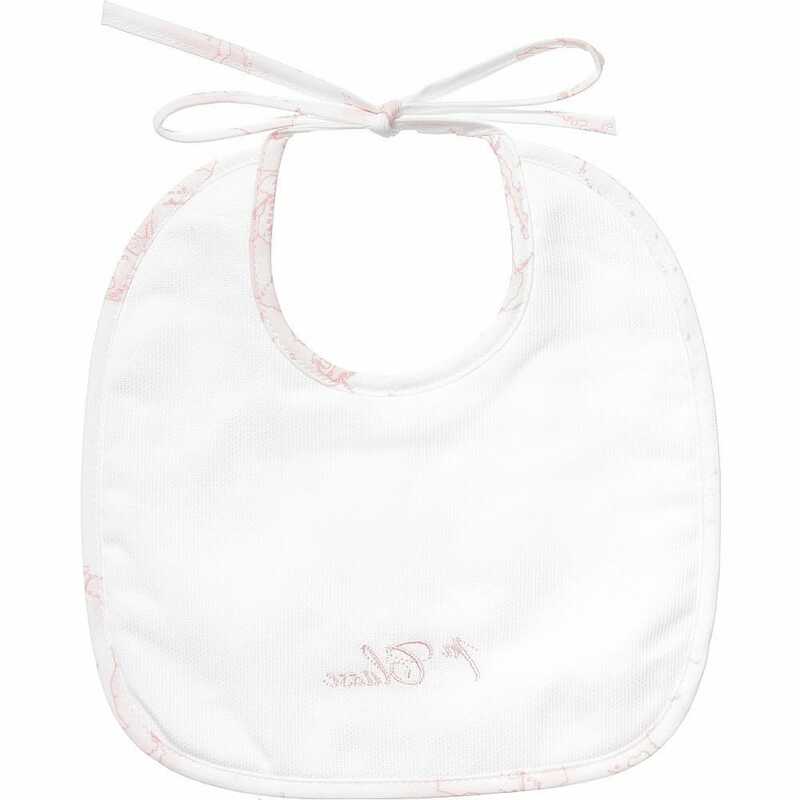 The bib ties at the neck and has this pink vintage map print as a decoration element.